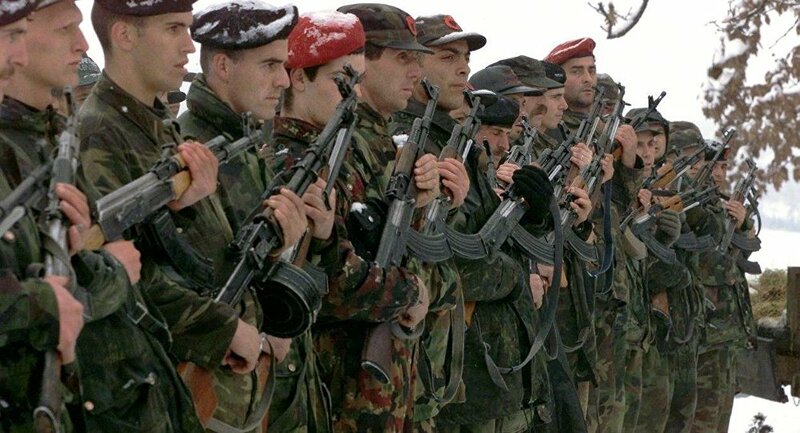 BELGRADE (Sputnik) - The Serbian leadership calls on the international community and NATO-led Kosovo Force (KFOR) to stop the Kosovar authorities from creating an independent army since the move would endanger the Balkan region, the director of the Serbian government's office for Kosovo and Metohija Djuric told Sputnik. "Serbia calls on the international community, especially the KFOR, which holds a mandate of the UN Security Council, to prevent and make impossible the plans of Albanians in Pristina to create a so-called army on the Serbian territory as it constitutes a contradiction to international law," Marko Djuric, the director of the Serbian government's office for Kosovo and Metohija told Sputnik on Tuesday. According to Djuric, Kosovo's armed forces might pursue the political goals of Albanian extremists and separatists and pose a threat to Serbs in Kosovo. "The announced transformation of the Kosovo Security Force into the so-called Kosovo Army constitutes an unprecedented threat to peace and stability in the region, and a direct violation of UN Security Council resolution 1244, but also of the Military Technical Agreement which put an end to the conflict in Kosovo and Metohija in 1999," Djuric stated. The comments come after Kosovo's parliament chairman Kadri Veseli has said that the republic's national army will be established on December 14. Kosovo Prime Minister Ramush Haradinaj, in turn, has said that establishing an army was an important step toward NATO membership. In October, Kosovo's parliament voted to change the mandate of the Kosovo Security Force (KSF) and transform it into the republic's national army. The forces will reportedly comprise a total of 8,000 people — 5,000 active duty soldiers and 3,000 reservists. The move was criticized not only by Belgrade but by NATO as well, with the alliance's secretary general, Jens Stoltenberg, saying that such actions were "ill-timed." Kosovo proclaimed its independence from Serbia in 2008 and was recognized by over a hundred UN member states. The move was not, however, recognized by Serbia and two permanent members of the UN Security Council — Russia and China. In 2011, Brussels launched several rounds of talks between Belgrade and Kosovo, bringing the parties to the negotiating table for the first time since Kosovo's secession. The 2013 agreement came as a result of the EU-mediated consultations.